It's hard to believe that October marked six months since Steven and I exchanged vows. In some ways it feels like we just got married a few weeks ago, but in other ways it feels like we've been living this life for years. Steven and I learned a lot about each other during our engagement, we had a sixteen month long engagement after all. During that time we bought a house and moved in together. We planned family vacations and spent the holidays together. We were starting a life together long before we said I do. Even so, marriage has also brought on a great deal of changes for the two of us. This life we live is no longer about us as individuals, but it's now about life together as a team. It's about letting go of all our selfish tendencies and putting our partner first. Six months doesn't qualify me as an expert on marriage by any means, but I like to think that it has given me some insight on living a life with another person. 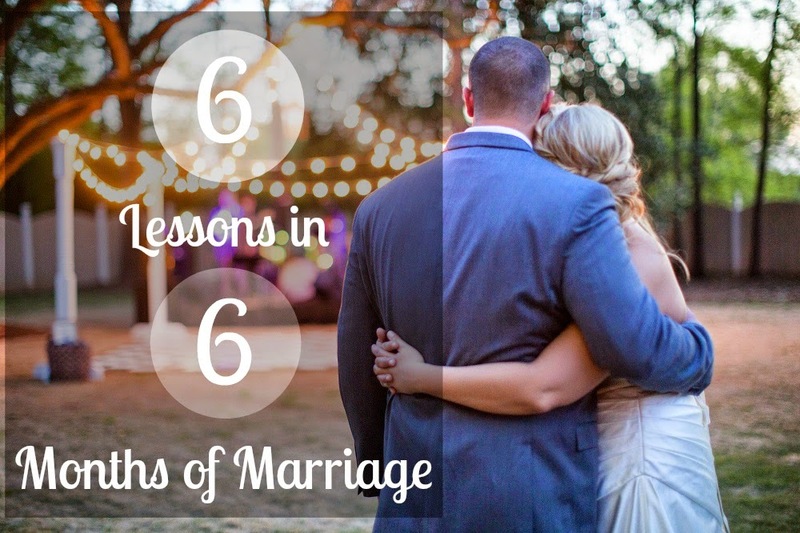 Here are just six things that I've learned during our first six months of marriage. 1 // Communication is key. I can count on one hand the number of major fights that Steven and I have had since we have been together, and I use the term "major" loosely because our biggest fight would be something that other couples consider a petty disagreement. We just don't fight. On the other hand, we both have issues with not talking about something that is bothering us. Both of us will hold something in until we just can't take it any longer and then we start throwing accusations and untrue statements around. It's not fair to either of us. How is Steven supposed to know that something is bothering me if I don't talk to him about it? He's not a mind reader. There is a middle ground. With proper communication we can discuss our issues in a calm and mature manner without bottling our issues inside until they come spilling out and turn into an argument. We make it a point to talk to each other the moment we have an issue. We don't throw blame around or start screaming our problems at each other. Instead, we sit down and talk about what is on our mind, why it bothers us, and what we can do to fix it. I know for a fact this has stopped many petty issues from becoming an all out war. 2 // Learn to compromise. My husband and I are complete opposites. He's a homebody and I'm the queen of happy hour. I like spending our free time out and about with friends, and he prefers to spend it relaxing at home. Thus, we have learned the art of compromise. If there is something exciting going on during the week, Steven will compromise and go with me to whatever concert or event it may be. On the other hand, I try and limit those outings to one maybe two nights during the work week. I know he works long days, and I know he likes to spend the evenings relaxing at home. On the other hand, just because we are married now doesn't mean that we have to give up our own interests. Steven enjoys playing in a softball league, so when the weather is nice he usually plays softball with the guys once a week. I love that he continues to do the things he loves. I usually spend those nights getting in some "me" time or meeting the girls out for dinner or drinks. 3 // Learn to budget together. This one is still a work in progress for Steven and me. You see, when you have different interest and hobbies, you also have different opinions on how money should be spent. Steven thinks throwing down $100 or more a month at Bass Pro Shop is completely acceptable and I think that weekly Target trips are mandatory. Are either of those things a necessity? No. However, they are things that we both enjoy. When we bought our house last August we also combined finances. It was easier to pay the bills that way. Ever since, I have kept track of our budget on an Excel spreadsheet. I know exactly how much money is coming in each month and how much is going out. I know down to the penny how much money we owe on the house, cars, and credit cards. Some would call it OCD, but I call it organization at its best. The spreadsheet really helps us keep track of our spending. I know that Steven would go crazy without his Bass Pro Shop trips, so I budget every month for those kind of purchases. The same goes for me. I budget for my Target trips and the occasional shopping trip. We communicate weekly about our budget, how much we are saving, and if we have any kind of wiggle room. Working together on a budget not only keeps us both accountable for our spending, but it also keeps us both happy because we still get to spend money on the things we enjoy. 4 // Pick your battles. Dishes left in the sink? Laundry left scattered on the floor? Learn to let go of the petty things that drive you crazy. Case in point, I know for a fact that it drives Steven crazy that I take over our one and only bathroom with all my makeup and hair products. The poor thing barely has any space to put in his contacts in the morning! I try to keep my stuff contained, but some mornings I am in such a rush that it is just impossible. He, in turn, he has learned to let it go. He never complains about all my stuff all over the bathroom. The same can be said when the roles are reversed. It drives me fifty shades of crazy that he leaves his clothes all over the man room floor. I don't understand it, but after a few months I learned to just let it go. When I can't take the mess and chaos any longer, I just shut the door to his man room and move on with my life. It's not worth battling over. 5 // Don't stop dating each other. Just because we're married now doesn't mean that date nights need to be a things of the past. Steven and I try to carve out one night a week that we spend together, just the two of us, doing something special. 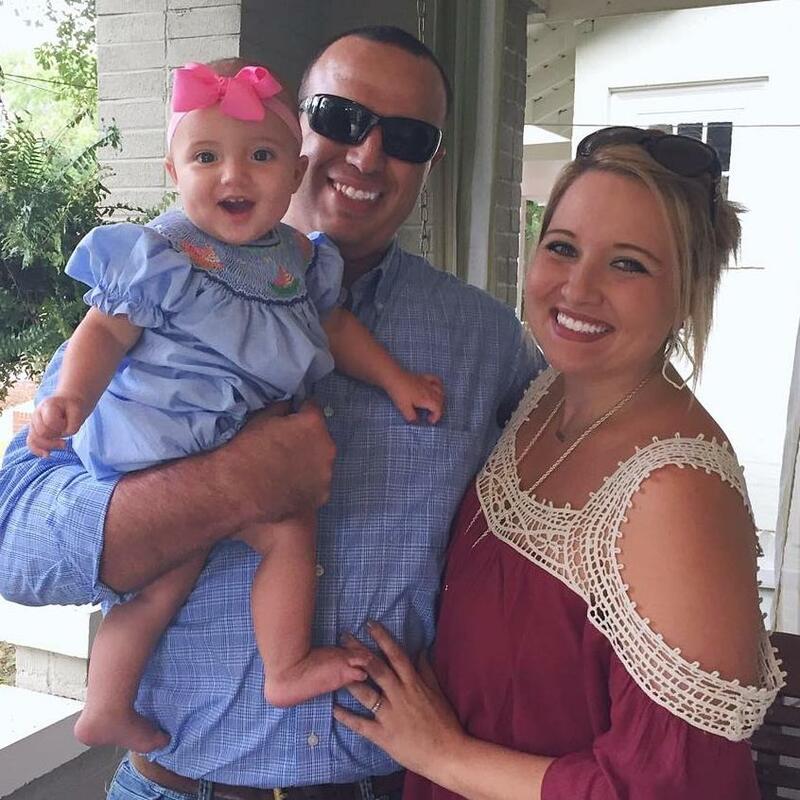 Some weeks our date night is nothing more than eating dinner at our favorite neighborhood Mexican restaurant or ordering takeout and watching a movie at home. Regardless of what we are doing for date night, we make it a point to continue dating each other. 6 // Savor this time as newlyweds. I've talked before about my tendencies to rush through life anxiously awaiting the next chapter. I'm doing much better these days at slowing down and appreciating all that I have right now, but I would be lying if I told you that doing so comes naturally to me. It's a work in progress. What's important to remember is that this is a special and sacred time for the two of us. We are young and in love. We are embarking on a lifelong adventure with each other, and the adventure is just getting started. The budget, for us, was the huge deal. We use an app called Financisto (and love it!) but it was easy to lose track of things we enjoyed doing in the mess of the things we HAD to do. It's so important to budget in the fun, too! Compromise and Communication are something that I think most couples struggle through. Luckily for us we both are pretty good at compromising and voicing what our needs and wants are. Recently budgeting became our big issue. We found ourselves spending our money on pretty much whatever we wanted and not saving it. It has become a daily thing we have to pay attention to and it is not easy, but no one said marriage would be. Happy 6 months! Yes, Yes, Yes! This fits so perfectly into a marriage series I have going on my blog right now. The topic yesterday was marriage don'ts and this post complements that so well! Don't stop dating each other!!!! That's definitely key. My favorite times with my hubby are going out with him. Moves, dinner, bowling, happy hour. Any of that. And then coming home and cuddling on the couch and watching some tv. I guess because he works nights and we don't even get to sleep in the same bed but for 15 nights a month, that adds to the "dating" part of it too. We cherish our time together. As my husband and I near our 6 month anniversary in a couple of weeks, these are all so true! I'd love to hear more about your budgeting style. My husband and I are not very good savers (hello happy hour!) and we are working on trying to be better budgeters/savers. This is fabulous! We are all about picking our battles. I think that may be one of the most important things!! Yes to all six! two and half years in and the same is still true! I love your list!!!! Choose your battles is my favorite piece of advice that I dish out to friends in relationships! It is so important! Budget smudget...I still hate those words haha! Happy 6 months friend! Love this post!! Those are the most important 6 things I think!! The budget seems to be the toughest for us!! Happy 6 months! Continuing to date each other is such an important tip! These lessons are wonderful :) Thank you for sharing!